This Leica Camera Just Sold for $2.96 Million, A New Record « Adafruit Industries – Makers, hackers, artists, designers and engineers! 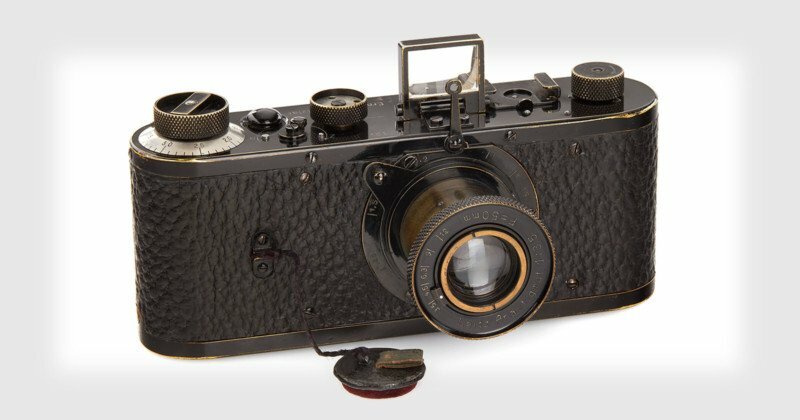 A 1923 Leica 0 series camera was just sold for €2,400,000 (~$2,957,304) at auction, setting the new record for world’s most expensive camera. The historic purchase was done at the 32nd Westlicht camera auction in Vienna, Austria, on March 10th, where the camera (serial number 122) had a starting price of €400,000 (~$492,672). The price was bid up 6 times by the time the hammer fell, pushing the sale price above the $2.79 million paid for another Leica 0 series (serial number 116) at the Westlicht auction in 2012. There are only 12 known surviving Leica 0 series prototype cameras in the world today of the original 25 that were produced by Ernst Leitz. And only three of the surviving cameras are still in pristine condition. These Leica 0 series cameras have been seeing a consistent price increase in recent years. Copies were sold for $435,000 in 2007, $1.89 million in 2011, $2.79 million in 2012, and now $2.96 million in 2018.